THE BEAUTIFUL DIFFERENCE IN VELVET-SMOOTH LAWNS: ALLIS-CHALMERS DESIGN FEATURES! Click each picture for a closer view. 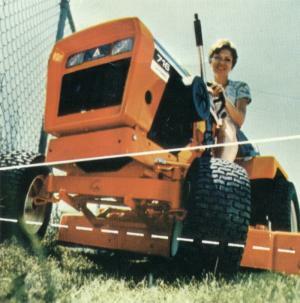 Here's the pivotal fact . . .that Allis-Chalmers units are engineered for non-scalp mowing -- with a front axle mounting that lets the mower pivot as the axle oscillates. 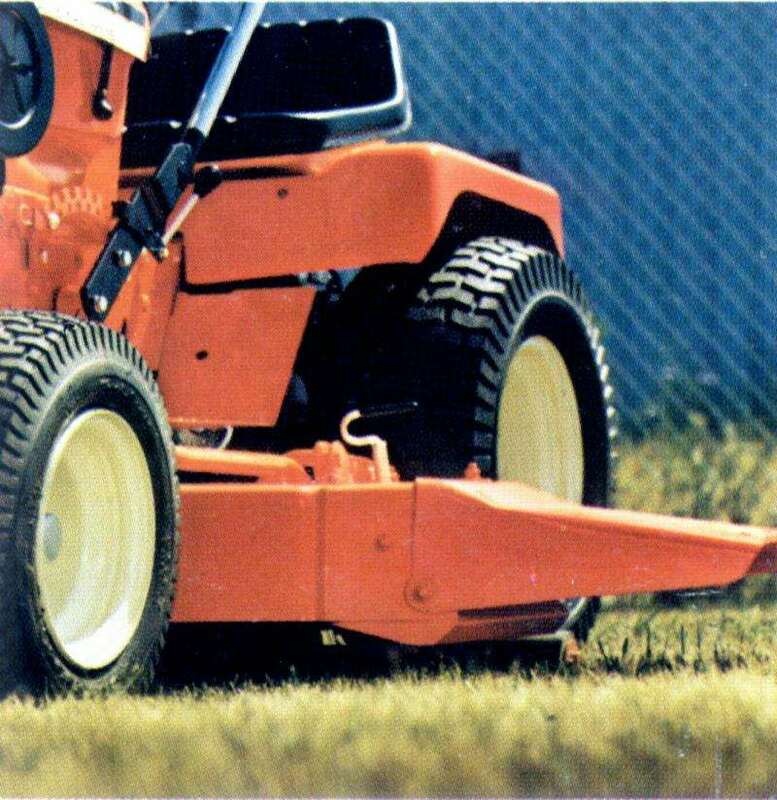 This means the front wheels act as gauge wheels, enabling the mower to follow all ground contours as they "sense" up and down and side to side variations -- while the full-width rear rollers help average out lawn irregularities to further minimize scalping. The short wheelbase also reduces scalping on crowned contours. 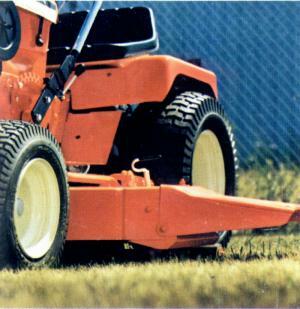 More mower facts: Allis-Chalmers deep deck design delivers extra-large air volume--to produce a broader discharge of clippings and mulch. Helps lessen the chances of clogging or inside build-up of clippings. Low-angled discharge chute design diminishes the likelihood of accidents or injuries; meets all OPEl safety requirements. Overlapping multiple blade design leaves no ragged, uncut ridges. Simple screw adjustment provides height cutting variation from 1-5/8" to 3-1/8". Time for a change? Switch attachments in just minutes . . .with no special tools or complicated hitches, just simple spring clip pins. With their safety-pin type latch, they stay put -- can't bounce out during operation.